I read this article and wanted to share it with you: How Presuppositions Control What We Do at Sonlight https://blog.sonlight.com/presuppositions-matter-how-what-we-believe-controls-what-we-do-at-sonlight.html. I got thinking the other day: When I say "I believe in Jesus," what I'm really saying is "I believe He is who He says He is. I choose to align myself with His goals. I am playing on His team." In other words, what we believe determines—or, at least, it ought to determine—how we act. If it doesn't, we probably don't actually believe it. So I asked myself: At Sonlight, does what we believe determine what we do? I think it does. It determines everything from the curriculum we create to the way we interact with co-workers. A foundational belief for us at Sonlight is that God creates people for a purpose. We aren't here to just have fun, be successful and live comfortable lives. I believe we are here to help bring God's Kingdom to earth, through ministering spiritually and physically to this broken, hurting world. I believe education plays a vital role in that. So I thought I'd share just two of our underlying assumptions about education that determine who we are at Sonlight. Education should help children develop their gifts and become equipped to do whatever God calls them to do to further His Kingdom. This is so dear to my heart. Whenever I join a prayer group at the Sonlight office, they hear me offer the same basic prayer: Lord, may our kids [i.e., all Sonlight kids] be fully equipped and fully prepared for whatever you call them to do. Education shouldn't just help kids get good grades and test scores. It should help them become who God created them to be. I'm here to tell you I believe homeschooling is an optimal way to bring that about. Parents have the flexibility to help their kids succeed academically – advancing quickly in one subject and going slower in another as needed. 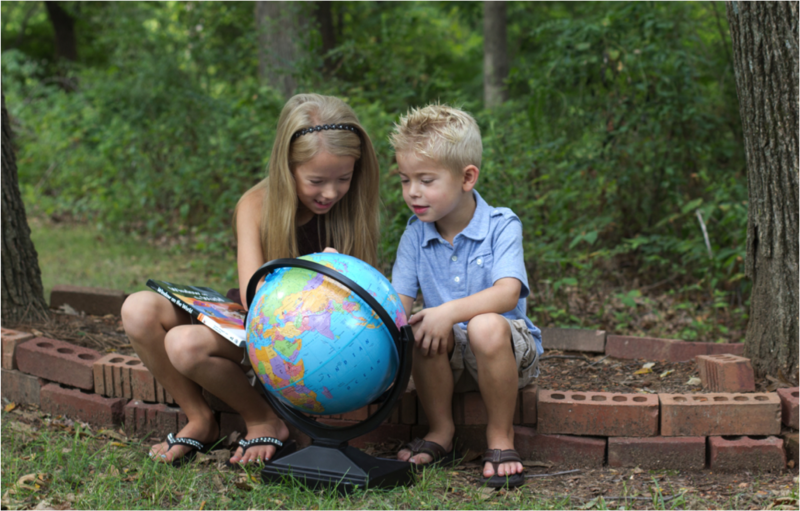 Homeschooling also gives kids time to explore and follow their talents and interests. 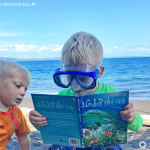 With so much more free time than traditionally-schooled students, homeschooled children have time for unstructured free play. They have time to learn computer programming or dive into serious art study. They have time to explore one thing and then move on to another. So often, God uses these interests to guide children into their callings as adults. 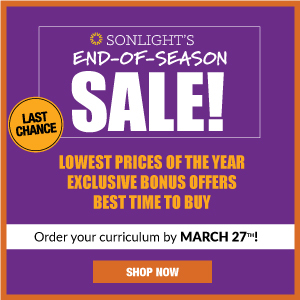 One way Sonlight helps children discover and develop their gifts is through offering so many electives – art, music, computer programming, foreign language, college prep, critical thinking and more. I love what Luke wrote this week about how to help kids follow their interests: give them resources and role models. I completely agree. But we don't want kids to develop their gifts just for self-serving purposes. 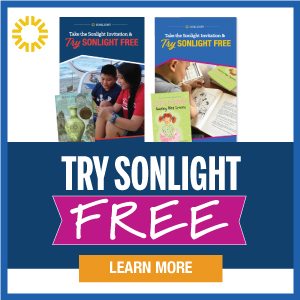 Instead, Sonlight helps spark a passion in your children to seek out what God is calling them to do … and to do it. Our curriculum is full of stories of ordinary people who saw needs around them, followed God's call and ended up transforming their world. I think of Gladys Aylward, David Livingstone, Mary Slessor, William Wilberforce … the list goes on and on. Even fiction characters in Sonlight's programs show kids that they can develop their gifts and do great things. Our heart behind Sonlight is to inspire kids who grow up and do great things – not for their own glory, but for the glory of God and the sake of serving real needs in our hurting world. Every child is naturally curious and can love to learn. Education should help nurture that love to learn. Since we believe education should equip children to do whatever God calls them to do, we believe education should also fuel children's natural love to learn. Why? Students simply cannot learn everything they need to know before high school graduation; we must give them a love to learn and thus prepare them to be life-long learners. You will never succeed at "force-feeding" a complete education to a child. There is too much to learn in the world! If we are to prepare kids for their callings, we must equip them to keep learning after they leave home. If children want to be doctors, missionaries, filmmakers, homeschool parents … whatever their call may be, they will need to keep learning as adults. You'll see this presupposition play out at Sonlight through the materials we pick. We don't only find workbooks that teach the minimum so you can check it off your list. 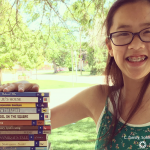 Instead, we carefully select books and create a curriculum that helps kids love to learn. We want our materials to be colorful, interesting and winsome. 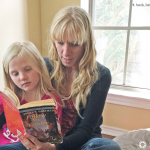 Have you read your fellow homeschoolers' Box Day Stories? 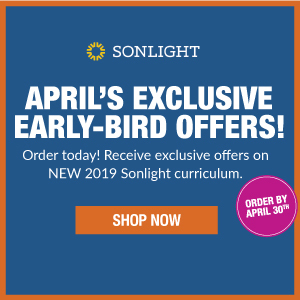 They're snapshots of the excitement when families receive their new Sonlight homeschool materials. Now, how many companies do you know who provide Box Day experiences like that? 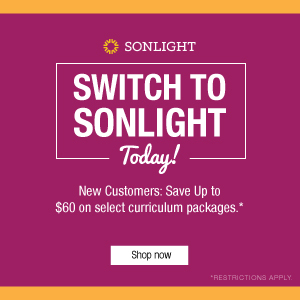 Sonlight uses very few textbooks. Instead we use compelling stories, we use science experiments and math manipulatives. And this is all done for a purpose. We want to focus in on the fact that kids are curious and love to learn. We don't ever want to beat that out of our kids. We don't want them to get done with school and say I'm never cracking a book again. Instead, we want to inspire kids that learning is fun, useful and exciting. Then they'll be ready to keep learning and keep moving toward whatever God is calling them to.